Little Man is getting bigger. He now has two more teeth. Not the front two middle ones, oh no, not my boy! 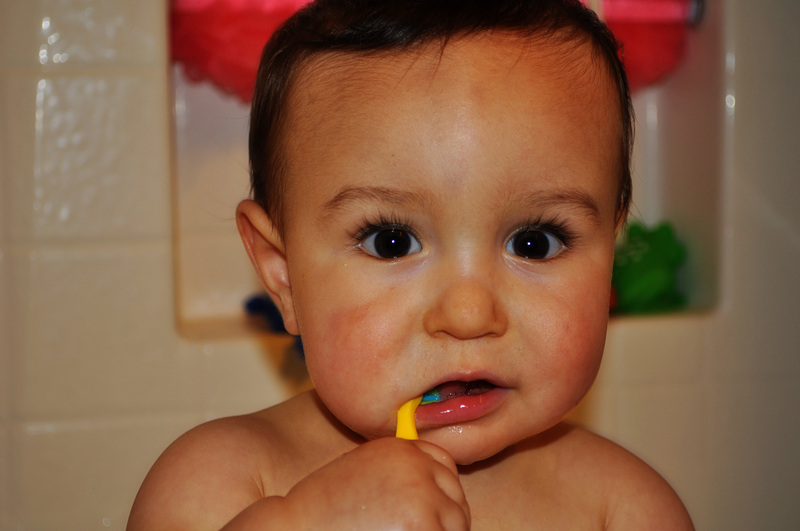 His two other teeth are his incisors peaking through his gums. And oddly enough, the Tongue that we had thought had finally figured out how to stay put in his mouth has made another appearance as Gene Simmons. 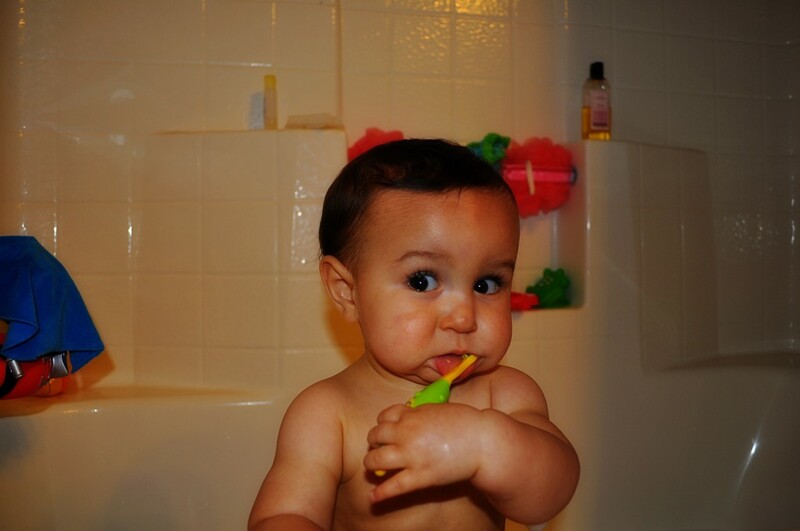 So, Little Man got his first toothbrush today. At first, he didn’t know what to do with it. He just wanted to stare at it and wave it around. 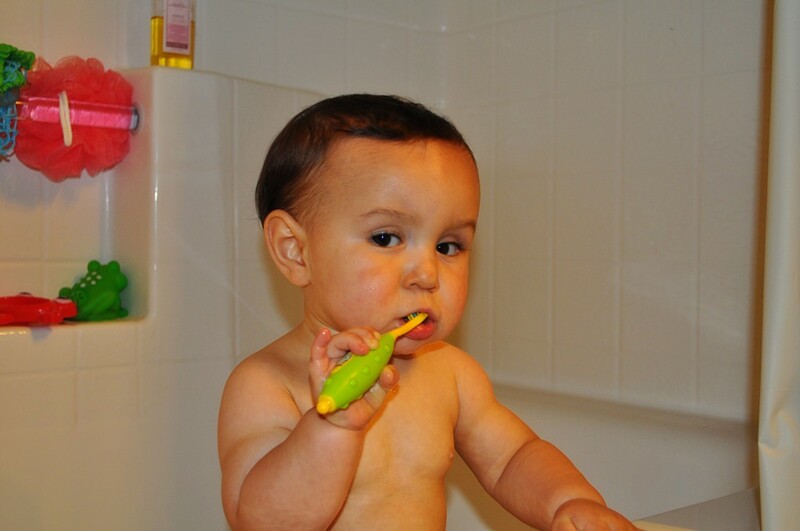 So, I had to take the toothbrush away from him, rub it on my teeth, and show him. He got mad that I took it away, and howled. Once he saw what I was doing, I handed it back to him and he promptly stuck it in his mouth. He moved it around, rubbed it on his tongue. The Gene Simmons wannabe. At that point, he started looking like a professional tooth-brusher. Angle of the brush just so, pinkie finger up on display. 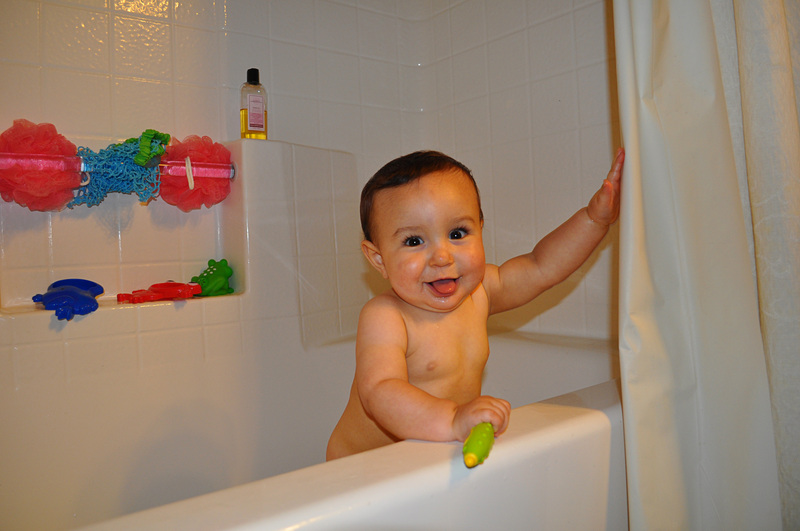 And then he got a little distracted and wanted to yank on the shower curtain. And imitate Gene Simmons again. And then we played the game that we play when he wants to imitate Gene Simmons. I’m gonna get that tongue, I’m gonna get it, I tell him. And he leans forward, holds himself real still with his tongue sticking out, and I pinch his tongue. He giggles. There’s nothing better than my baby’s giggle. It rocks my world.